I confess until this point I have not done much research into the history of the London Underground system. The majority of my work has been collecting material on the current environment of the tube. In one interview the practicalities of the tube and a few differences from when the tube was introduced in London were discussed. Without consciously making the decision, I think I was focusing strictly on current, everyday interactions that occur on the tube, rather than stating facts on the history. I am toying with the idea of dropping a few relevant facts into the structure to give perspective of how the current tube system came to be. “The London Underground (also known as The Tube or The Underground) is a rapid transit system serving a large part of Greater London and some parts of Buckinghamshire, Hertfordshire and Essex in England. It is the oldest underground railway in the world, the first section of which opened in 1863 on what are now the Circle &Hammersmith & City lines and part of the Metropolitan line. 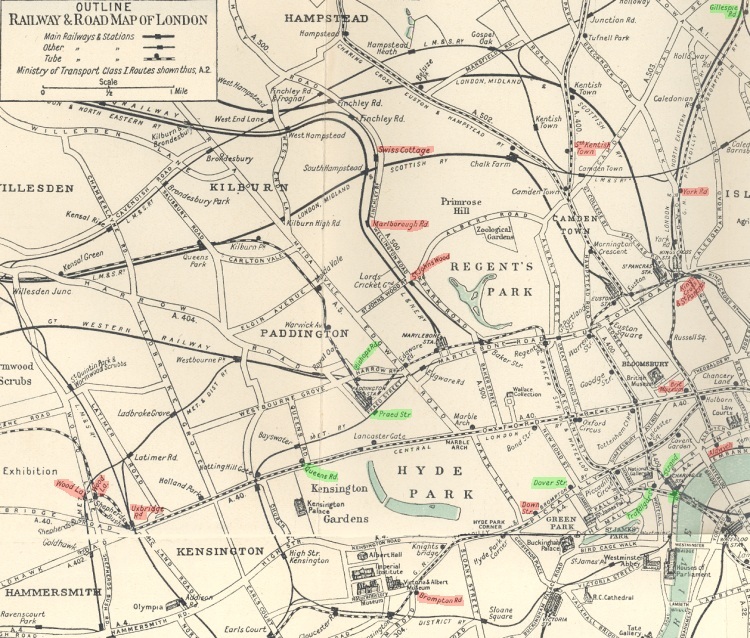 In 1890 it became the first to operate electric trains.The whole network is commonly referred to by Londoners and in official publicity as the Tube, although that term originally applied only to the deep-level bored lines, along which run trains of a smaller and more circular cross-section, to distinguish them from the sub-surface “cut and cover” lines that were built first.” -Wikipedia….